The middle of the night. Beauvais, France. No way out, and zero knowledge of the French language. This is where my wife and I were in October 2012. We had spent two weeks on the road, and our time in Paris had come to an end… Or did it? With one simple mistake, our tour of Europe – which was already hanging by a thread – completely burned to the ground. But from the ashes of this trip came an understanding of how to survive anything. We learned the basics of travel, and how to bounce back from critical failures – especially when survival is the only thing on your mind. This isn’t a book of danger. It’s not the story of an unbelievable series of circumstances. But that’s the point. This is the story of the basics – when a bunch of things go wrong on a trip with many moving parts. Any one of these things could ruin your next trip. 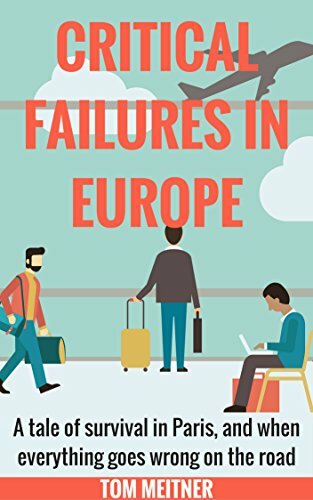 But instead of avoiding tourist season because you’re worried about what could go wrong, this book will show you how to avoid the most common travel disasters. All you have to do is learn from our mistakes – and we made a lot of them.